It’s time for Weightloss Wednesday! As of this morning I am at 228.6 lb which means I have been within 2 lbs of the same weight for a month now which is very disappointing. I have been eating either 1 or 2 meals a day for a long time now and it has stubbornly refused to move. I’m remembering all the times during that long trek down to 200 that it seemed like nothing happened for weeks on end to keep me centered. As for exercise, I’ve had to take a few days off. I’ve got a pain in the back of my heel that I’m hoping is nothing and will go away if I rest for a few days. The pain is right where there is a big lump on the back of my heel. I think whatever I did to it, I did while jumping rope a few weeks ago and I just needed to stay off it for a while. At least, that’s what I hope is going on and noting more serious is happening. In the video, I’m continuing to look at at the exercises I do. Today I am showing the back exercises I do. 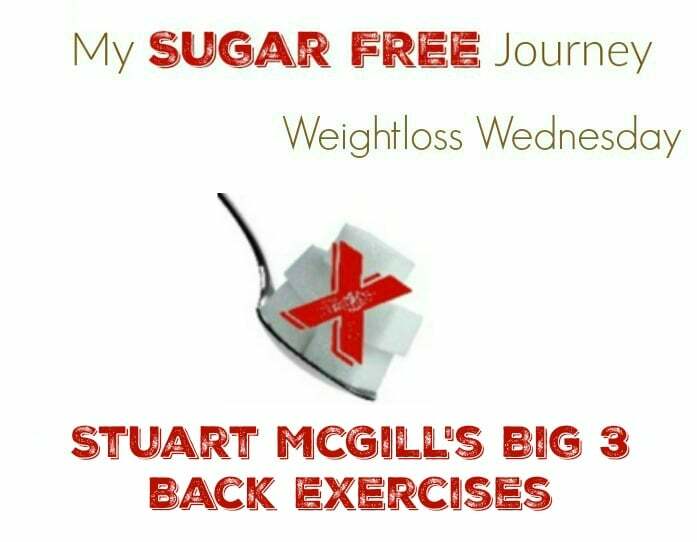 These are Stuart McGill’s Big 3 exercises that he advocates in his book. (I interviewed him here and reviewed his book here) I have done them religiously for months now and have not had any back issues which had plagued me for years. I would encourage you to do the same if you have any back problems or want to prevent them. NEXT POST Next post: What is Sugar Free and Keto Friendly at Dairy Queen?